101st Home Air Defence Fighter Wing 101. Motto: Vezérünk a bátorság, kíséronk a szerencse! The 101st Home Air Defence Fighter Wing or 101. Honi Légvédelmi Vadászrepülo Osztály, was an elite fighter-wing of the Royal Hungarian Air Force in World War II. Also known as the Puma after the unit's insignia, it was the most famous and well known of all Hungarian fighter units during the war. Created in the spring of 1944, it operated against US Fifteenth Air Force and the Soviet VVS during 1944-45 over Hungary and later, Austria. Analogue to Jagdverband 44, many of the highest scoring and most experienced Hungarian fighter pilots served in the unit, including the top scoring Hungarian ace of World War II, Szentgyörgyi Dezso. In the spring of 1944, following the German political takeover, the US Fifteenth Air Force, flying from bases in Italy, subjected Hungary to massed bombing attacks. The existing Hungarian fighter organisation was deemed tactically unsuitable for the effective protection of Hungarian air space from such attacks. Therefore, the Országos Légvédelmi Parancsnokság (Territorial Air Defence Command) decided to concentrate all existing fighters into a single fighter unit. The 101. Honi Légvédelmi Vadászrepülo Osztály was created from several existing Hungarian fighter units on 1 May 1944. The unit flew Messerschmitt Bf 109 G-6, G-14, G-10 fighters, from both domestic and German production. During 'The American Season', between May and August 1944, the 101. had claimed 15 P-51s, 33 P-38s and 56 four-engined bombers. The losses were, however, heavy, and the unit was pulled out for rest and refit for a brief period during the autumn. On 19 September 1944, the osztály (wing) was increased to the size of a fighter regiment, with Heppes Aladár in command. It was re-equipped with the latest Messerschmitt Bf 109G-10/U4 and G-14/U4 types equipped with MW-50 boost and the 3 cm MK 108 cannon. However, combat missions against the 15th USAAF have came to an end, and the 101st's main adversary was the Red Air Force. Retreating while fighting into Austria, the unit set its last remaining Bf 109s on fire on 4 May 1945 at Raffelding airbase, to prevent their capture by advancing U.S. troops. One example of a Hungarian Bf 109 from the 101. vadászezred, a G-10/U4 Werknummer 611 943 however survives to this day at the Planes of Fame Museum. On the Eastern Front, during 1943, the Pumas were officially credited with the destruction of 70 Soviet aircraft, to which they added further 218 destroyed and credited during the Home Defence combats in 1944-45. They were credited with 64 American four-engined bombers, and 47 fighters of the USAAF Fifteenth Air Force in 1944-45. The total number of victories credited against all opposing forces was thus 396. Relative to the small number of 'Puma' pilots, the losses were heavy. The 101./I. osztály (wing) bore the brunt of the fighting in the summer of 1944. Between its creation in the spring of 1944 and the end of the war, the wing (and later, regiment) suffered 51 killed, 30 wounded, 21 of them become MIA; 7 pilots become POWs. The howling red puma head of the unit first appeared in the Royal Hungarian Air Force in 1938. Heppes Aladár designed it, and Baráth László drew the original graphic. 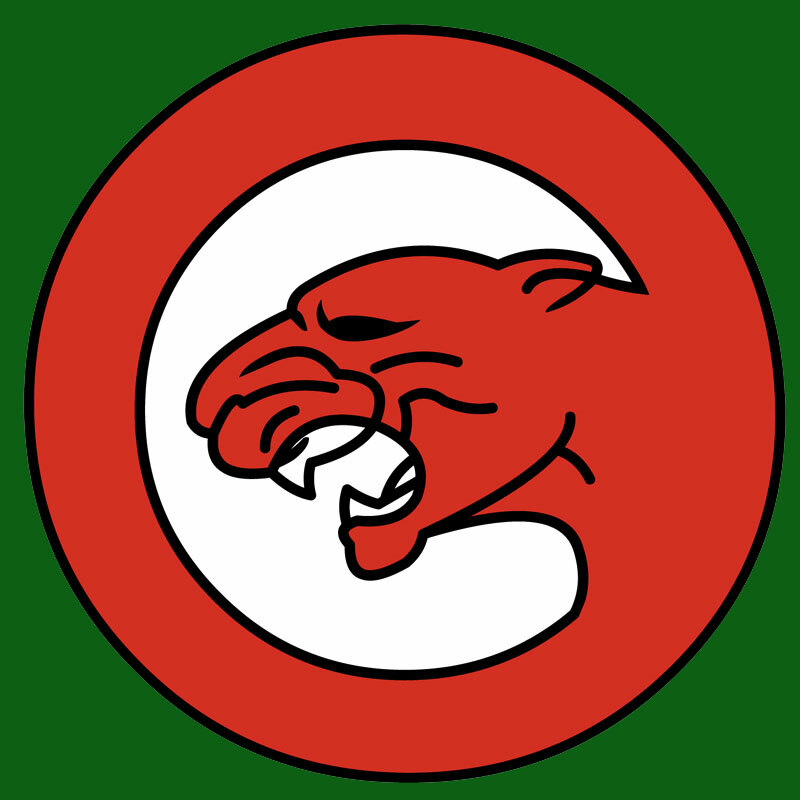 Unlike other unit insignia, the red Puma head was not attached to a particular unit, but to the commander, Heppes Aladár, following him to his new commands. It was first used by the 1/3. (later renamed 2/2.) vadászrepülo század (fighter squadron), and then the 5/I. vadászosztály (fighter wing) on the Eastern front. Ultimately, it was the unit insignia of the 101. Honi Légvédelmi Vadászrepülo Osztály and later, the 101. Honi Légvédelmi Vadászezred. The motto, "Vezérünk a bátorság, kíséronk a szerencse!" (Courage leads, luck escorts us) is originating to the commanding officer of the 1/3. vadászrepülo század, Nagy Mihály. Many of the unit's pilots served in the post-war Hungarian (communist) air force. Most were imprisoned after show trials, and released in the 1950s. The image of Hungarian fighter pilots and aces, most of them very successful on the Eastern front, was politically unacceptable to the communist leadership. Consequently the unit's story was largely forgotten until the 1980s, when the Royal Hungarian Air Force's legacy and history began to be revealed. Several historians and veteran pilots, such as Puma veteran Tobak Tibor, begun to publish their works on the subject then. The Pumas' insignia, motto, and traditions were reborn in 1988, when the 1. vadászrepülo század of the MH 59. Szentgyörgyi Dezso air force base took the name 'Puma' again. It contacted surviving veterans of their World War II predecessor. The unit flew MiG 21, and later MiG 29, jet fighters. The unit is now under transition to the Swedish JAS 39 Gripen. Historians and its veterans have published several books on the history of the 101. Honi Légvédelmi Vadászrepülo Osztály in World War II. Probably the best known example is Puma veteran hadnagy (2nd lieutenant) Tobak Tibor's Pumák Földön-Égen (Pumas on the ground and in the air) (in Hungarian), and later in French as Les Pumas Rouges (The red Pumas). The name Puma is also very popular amongst Hungarian virtual fighter squadrons, with many simulator clans such as the 101. Puma Virtuális Vadászosztály taking on the name. Punka György - Hungarian Aces of World War 2, Osprey Publishing, Oxford, England, 2002.